The versatility of the portable Proliner: We will demonstrate that Proliners can be used to measure 2D physical templates in the factory as well as to digitize complex 3D shapes for your fabrics on-site. Come see and determine for yourself the time you could save and costs you can spare by eliminating mistakes by using the Proliner. Prodim Canvas Industry packages: Prodim offers complete industry solutions to the Textile / Canvas industry. Like extra tools, such as the IPT for measuring hard-to-reach points, embedded Proliner software to change and finalize templates on-site, CAD software with special functionalities to create and adapt 2D and 3D models and prepare them for production and the Prodim Plotter for plotting large dimensions, directly on canvas with high precision. 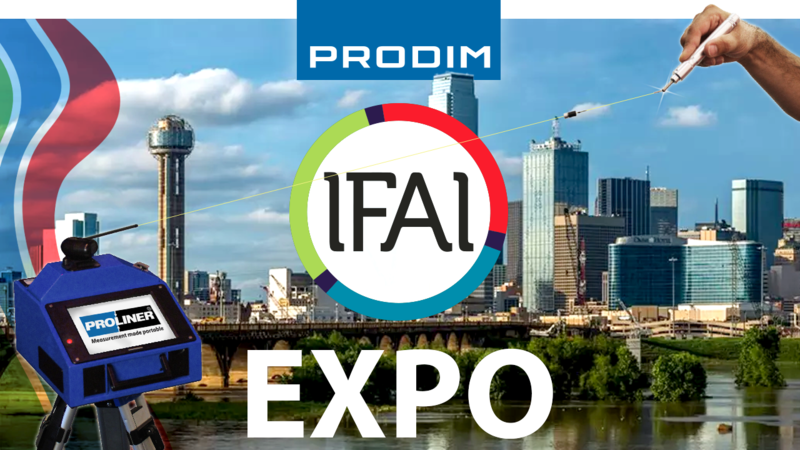 See you at IFAI Expo 2018!